It contains one very special ingredient. Blue wine first popped up late last month from the Spanish label Gik, which mixed together red and white grapes and used the skin of the grapes and a plant-based dye to achieve it’s vibrant hue. But disappointed Americans will have to wait for a taste of Gik —it’s currently only available for pre-order. 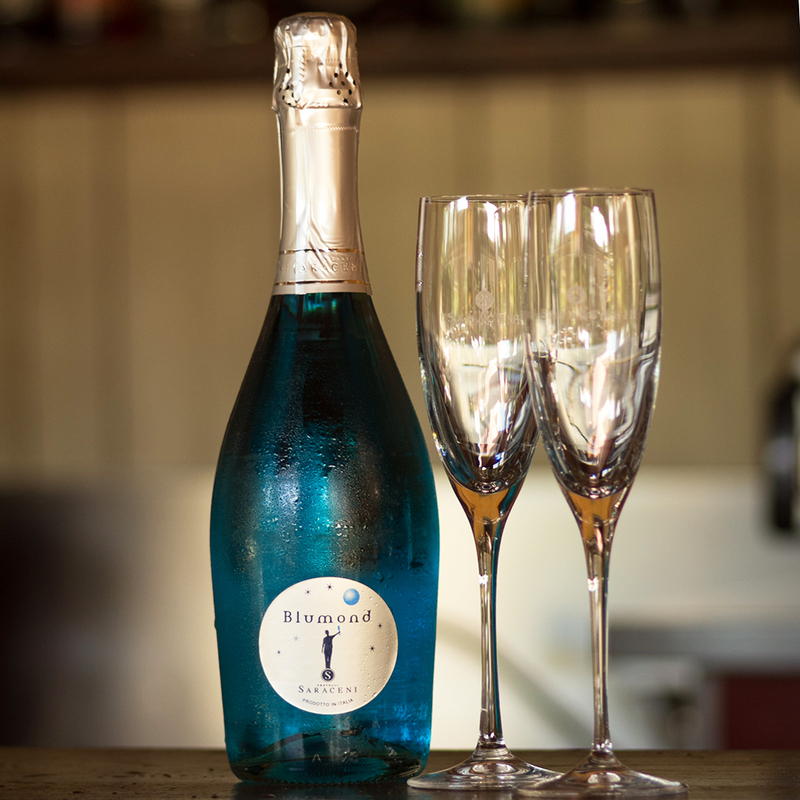 If you can’t wait to try a more colorful beverage at your next party, another brand has stepped in with their own version: Blumond Blue Wine, made in Italy and sold by Saraceni Wines. They've created a prosecco mixed with blue curacao – you know, that electric blue liqueur that is a staple in tropical cocktails at every tiki bar in America. The company says its sweet, fruity wine is especially popular among millennials and people who wouldn't normally considered themselves wine drinkers. And with only a 7 percent alcohol content, it's a solid day drinking option. If that’s your style, Blumond Blue Wine is available to ship worldwide at about $22 per bottle, plus shipping. Since this is now the year of neon drinks taking over our social media feeds, we have a suspicion this new blue wine will make you an Instagram sensation – get your hands on a bottle while you can.